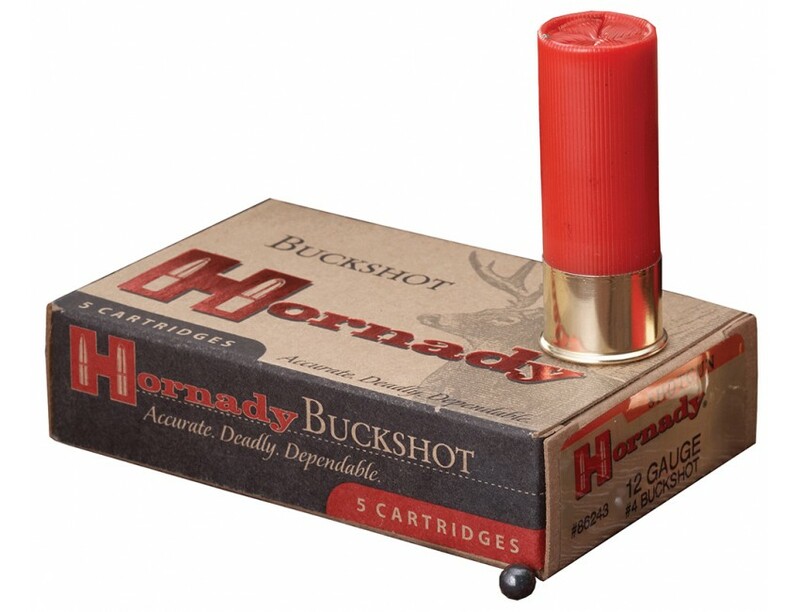 Hornady Varmint Express Buckshot Shotgun Shells for Hunting. 12 Gauge, 2.75", 24 Pellets. Box price, 10 Shells/Box. Specially loaded to ensure proper functioning in semi-auto and pump shotguns, this 12 Gauge Varmint Express comes in a 2-3/4" shell with 24 pellets of #4 buckshot. It's an excellent round for ridding your property of coyotes. Featuring Hornady's Versatite wad, these loads don't require shotgun modification or specialized chokes. The Versatite wad does the patterning, and usually patterns best with an Improved Cylinder or Modified choke. The Versatite wad strips cleanly from the pellets in flight without disrupting them for a very uniform, tight pattern and a shorter shot string that delivers more collective energy on impact, without the help of aftermarket chokes.